Here is the Financial Aid Application Form for the academic year 2019-2020. 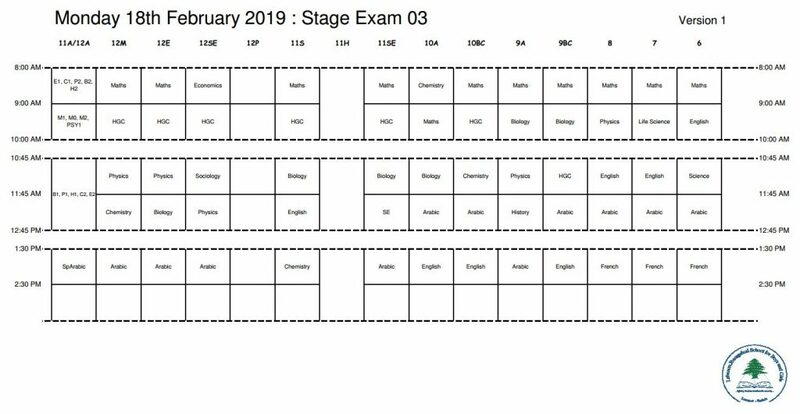 Here is Timetable Version 1 for SE03 that will take place on Monday 18th February 2019. In response to the announcement from the Minister of Education a short while ago, the school will be closed tomorrow, Wednesday 16th January 2019. All A Level and GCSE Exams continue as scheduled on Wednesday 16th January 2019. In response to the announcement from the Minister of Education a short while ago, the school will be closed tomorrow, Wednesday 9th January 2019. Stage Exam 02 will now take place on Thursday 10th January 2019. All A Level and GCSE Exams continue as scheduled on Wednesday 9th January 2019. The Senior Administration will be open from 8:00 – 2:00 pm.